Way too many people have diabetes and there are way too many misconceptions regarding this health condition. Lack of awareness is making the situation even graver. So, without hovering around to ‘set the mood’ or doing a ‘nice introduction’, we’ll go straight to it. 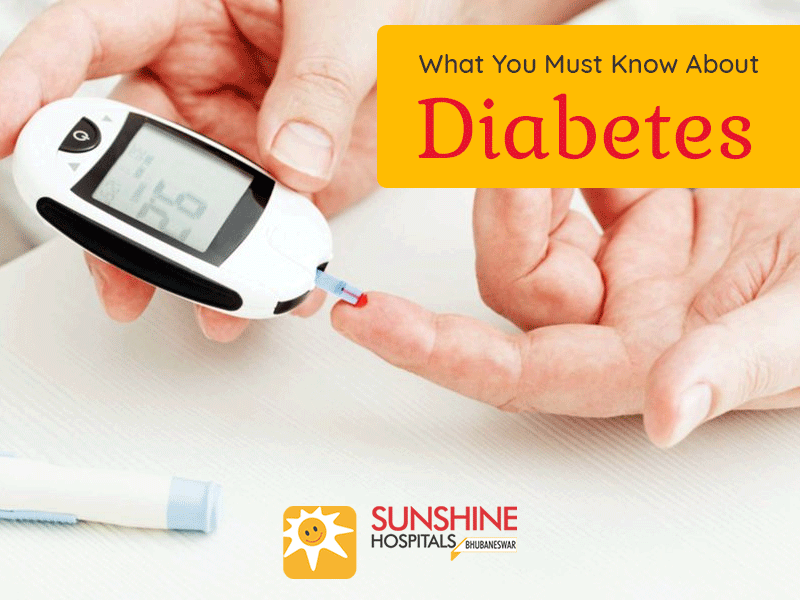 Here are some facts about diabetes that you must know! Do not listen to all the rumours around you – more than 93% of all diabetes are due to poor diet and serene lifestyle. Poor diet does not always mean that you have eaten a lot of candies, burgers, pizzas and ice creams. It can also mean that you eat way too many rotis and rice and ignore fruits and vegetables all along. Or maybe, your food habits are about right but you sit around all day at work or in front of a screen. These practices can lead to, what we call, Type 2 diabetes. Now, there is one more kind of diabetes – Type 1 diabetes. This form of diabetes is genetic and it is present in a person from their birth. Only a slim 5% of people are affected by it. Diabetes doesn’t just take away sweets from you. When you have diabetes, you also have an increased risk of suffering from heart diseases and heart attack. On an advanced stage, diabetes also damages your nerves and kidney. Diabetic patients are at risk of getting diabetic retinopathy which, if left untreated, can lead to blindness. In diabetic patients, wounds heal slowly and they are exposed to germs longer which can give birth to infections. In many cases, the infections spread so far that the affected area requires amputation. As an extension of various health risks that diabetes pose, it eventually prove to be life-threatening when they are diagnosed late or are not treated properly. And since diabetes is more prevalent with low or middle-income groups, many a time, that is exactly what happens. What is worse is that even if one person does not have as high glucose level as to be classified as ‘diabetic’, over a long period of time, that person will also suffer from health conditions just like diabetic patients. In those cases, the problem remains undiagnosed or unreported until it’s already too late. Whether you had diabetes before or not, when you get pregnant, you have a chance of developing diabetes during that time. Although it is very rare (less than 10%), you must take regular check-ups for the same. Do not worry – this can be controlled easily and will go away after your pregnancy. And, no, it is not transferred to the unborn child. However, if your condition is left untreated, it will not only affect your health but also your baby will have a higher chance of getting Type 2 diabetes when he grows up. The common notion is that diabetes is not curable. That is true. (Although, according to reports, sometimes a bariatric surgery eliminates the diabetic condition.) However, with dietary restrictions, lifestyle changes along with medicines, if required, diabetes can be managed effectively. You can live a ‘normal’ life. But make sure that you regularly go for health checkups for your heart, eye, kidney etc. If you injure yourself or get an ulcer or a rash, go to the doctor immediately. All lifestyle diseases are preventable. All you need is a little discipline in your dietary habits. Eat a balanced diet, cut out on sugar & carbohydrates; add a lot of vegetables; drink some milk and a lot of water. Avoid fast food, carbonated drinks, packaged food, added sugar, tobacco and alcohol. Plus, exercise regularly. As for Type 1 diabetes, you cannot prevent it. But you can prevent the symptoms from surfacing early in life by following the same balanced diet. The symptoms of diabetes are not always very expressive. In many people, diabetes progresses without a sign of it. However, others may notice symptoms like excessive thirst, weight loss, and excess urination etc. If you notice any of those symptoms in yourself or another person, take a diagnostic test for diabetes. The earlier you start the treatment, the better it will be for management of the chronic disease. Have more questions on diabetes? Want to get an expert’s advice on how you can live better with diabetes? Drop your query here or book an appointment.